Get ready for Lego Movie 2: The Second Part with a Wyldstyle costume or Emmet costume or build your own look from the rest of our Lego Costume collection. 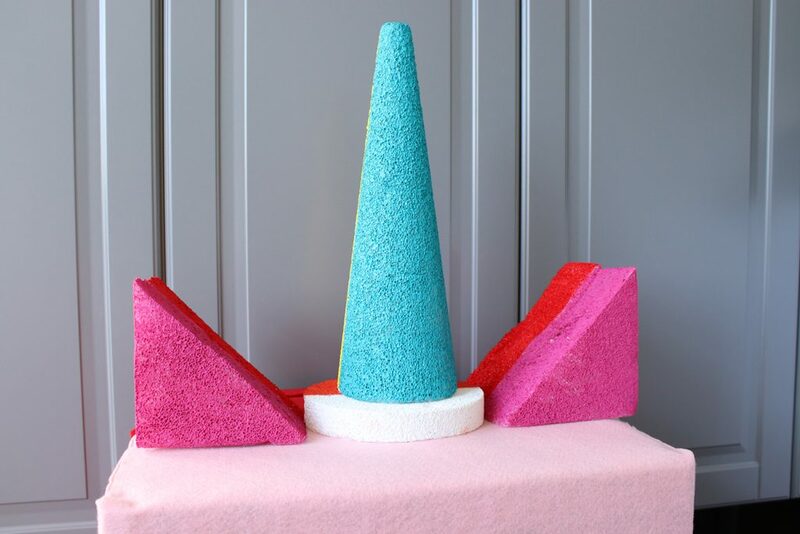 Using a serrated knife or saw, cut the square foam block in half on a diagonal to create 2 triangular shapes. 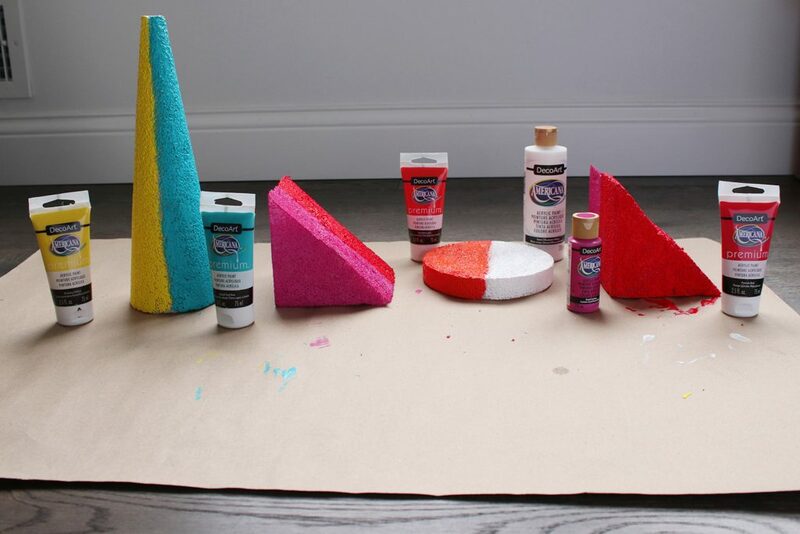 Paint the foam shapes using 2 colors on each side to create the double sided look. 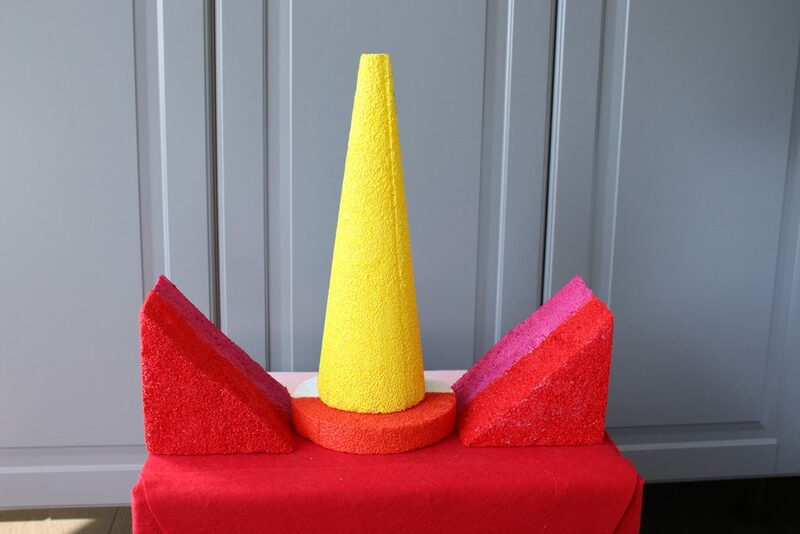 Cone = yellow and light blue, circle disc = white and orange, triangular pieces = red and pink. 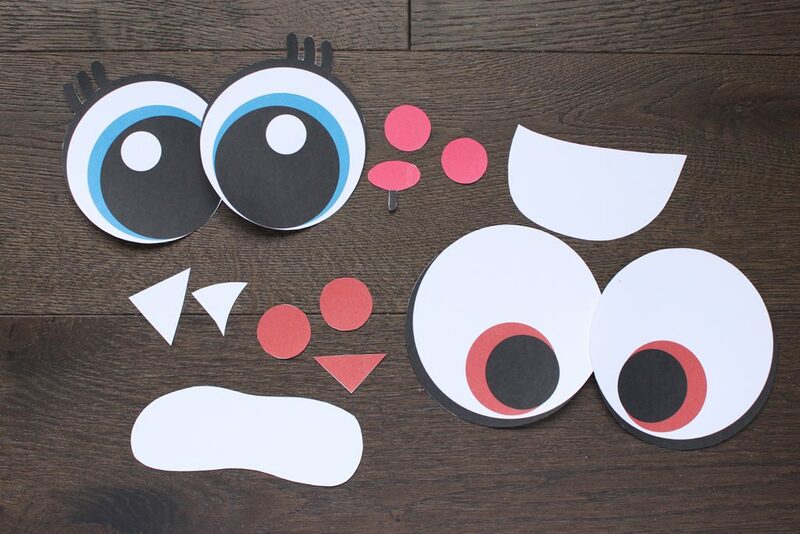 Cut out the shapes from the printable template. Note: some parts will be glued onto your mask as is, while the mouth pieces are used as a guide on the hole shape on the box. 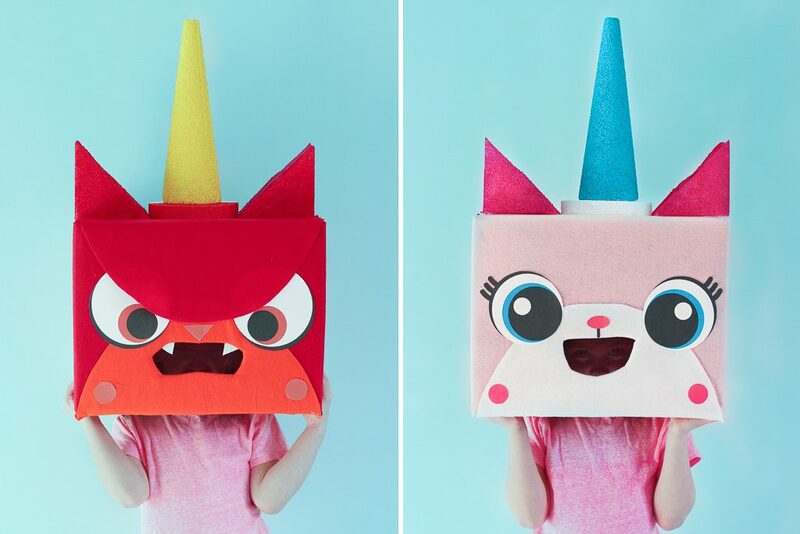 Determine which side of the box will be Unikitty and which is Angry Kitty. 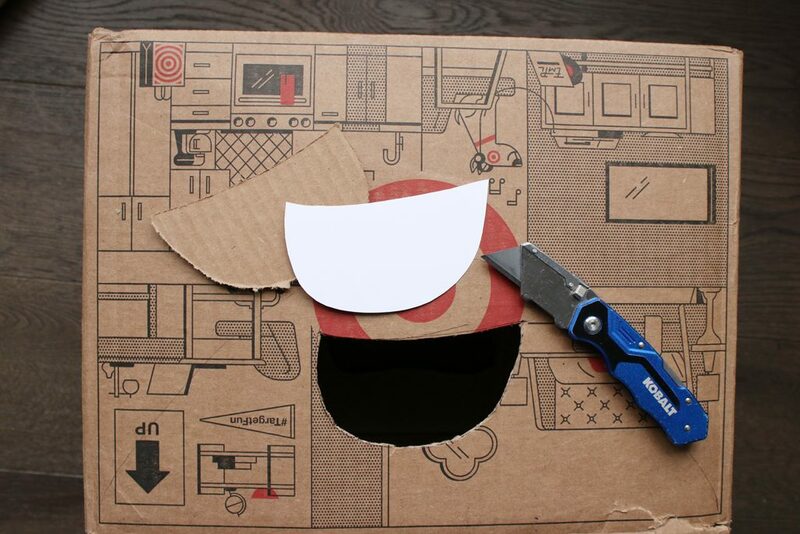 Trace each mouth on their coordinating side and cut them out using a box cutter. Note: These holes will be where you look through when wearing the mask so make sure the holes are at your eye level. 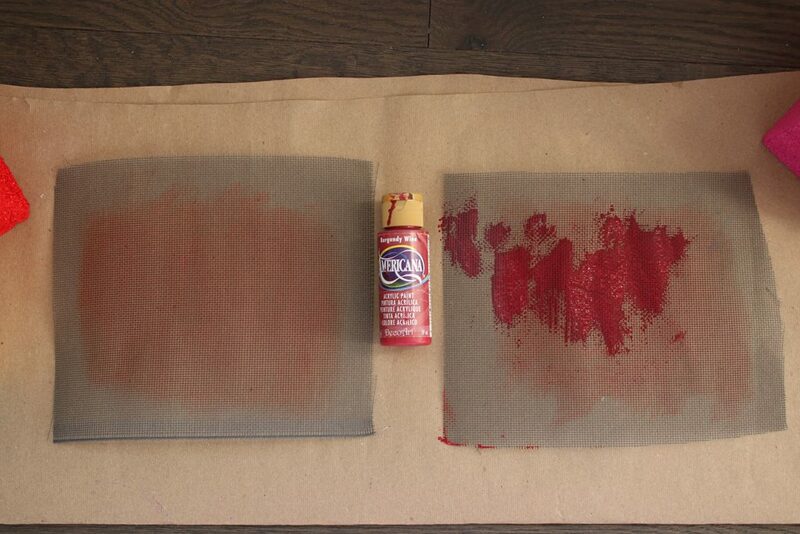 Paint a piece of window screening with a dark red color so help hide them within the design. Set aside to dry. 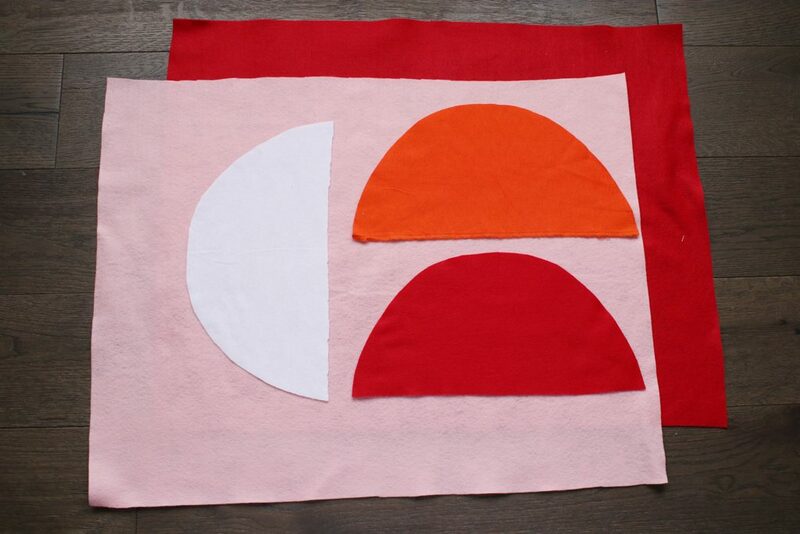 Cut fabric needed to cover mask. The full box should be half pink and half red. 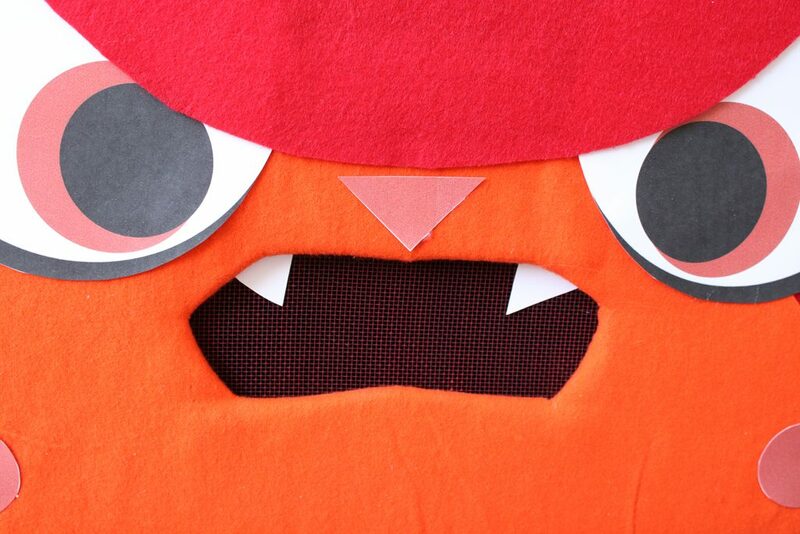 Angry Kitty will also need a curved orange and curved red shape (to over the eyes for an angry look). 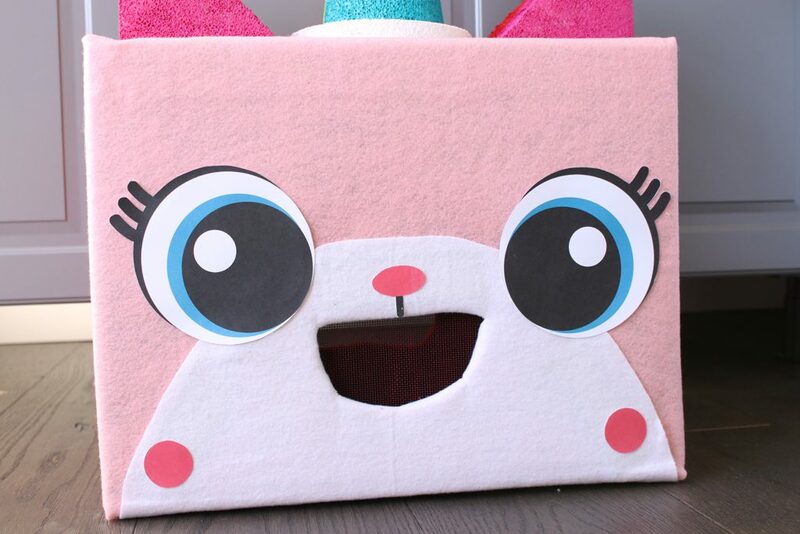 Unikitty will have a curved white piece on her face. 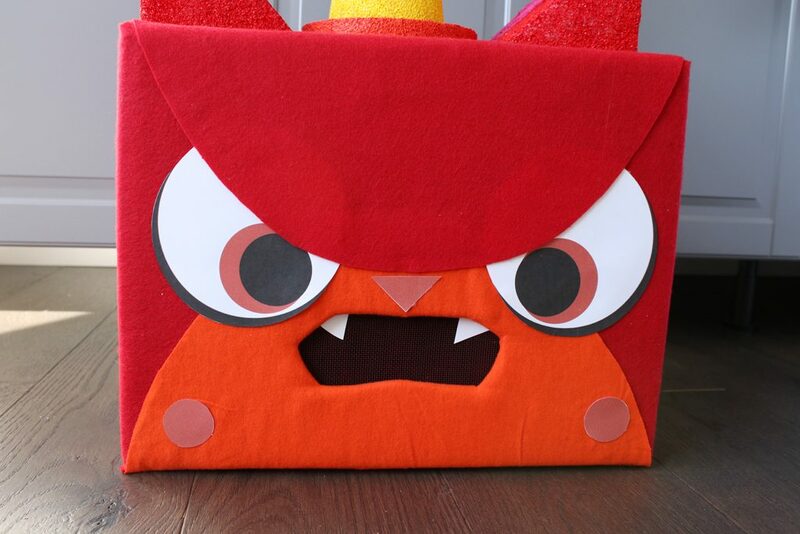 Cover the box with the coordinating fabric covers for each side. 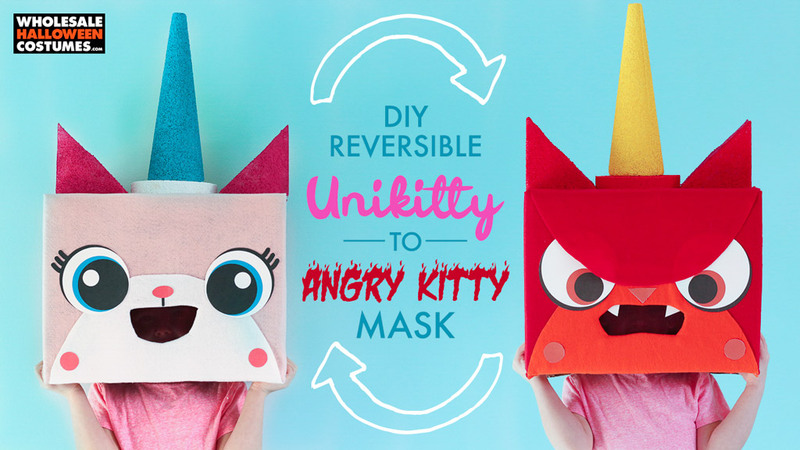 Angry kitty is red with the orange curved shape and Unikitty is pink with a white curved shape. 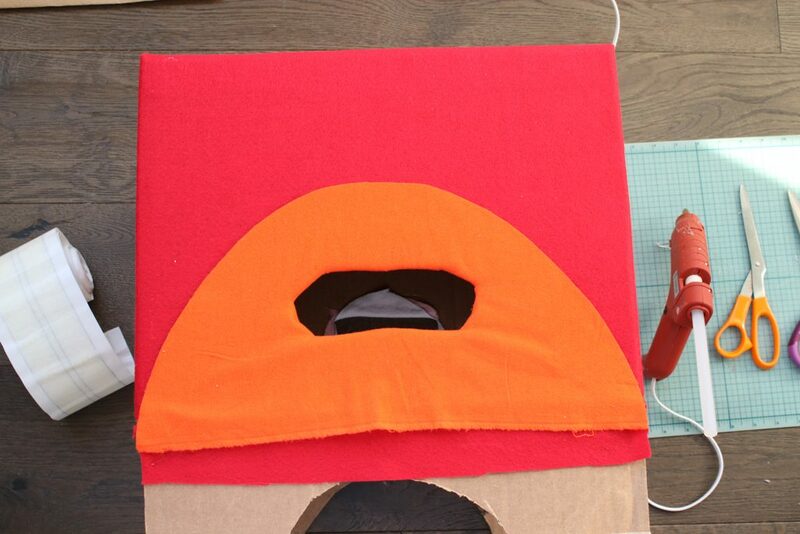 Adhere with a combination of carpet tape and hot glue. Sometimes the hot glue “bleeds” through the fabric so use this on the undersides where it will not be seen. Use fabric scissors to cut slits there the mouth will go. 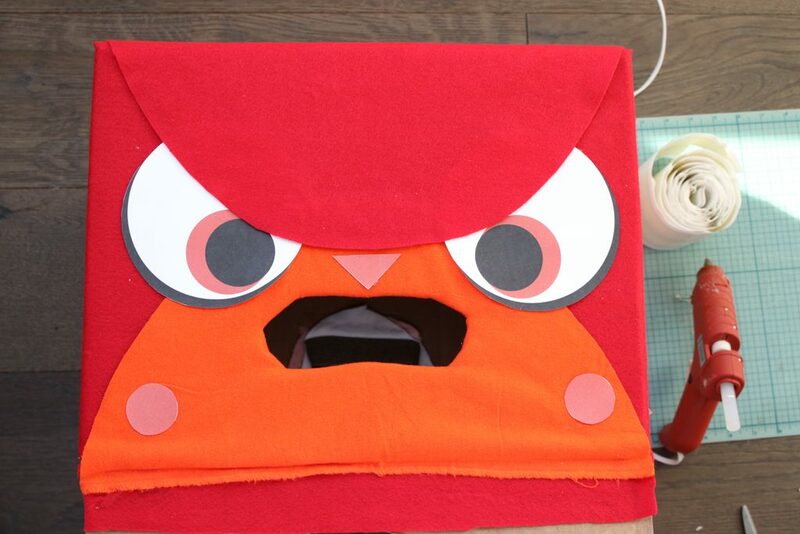 Fold the pieces back and glue on the inside of the box. Adhere the additional designs from the printable template on each side. 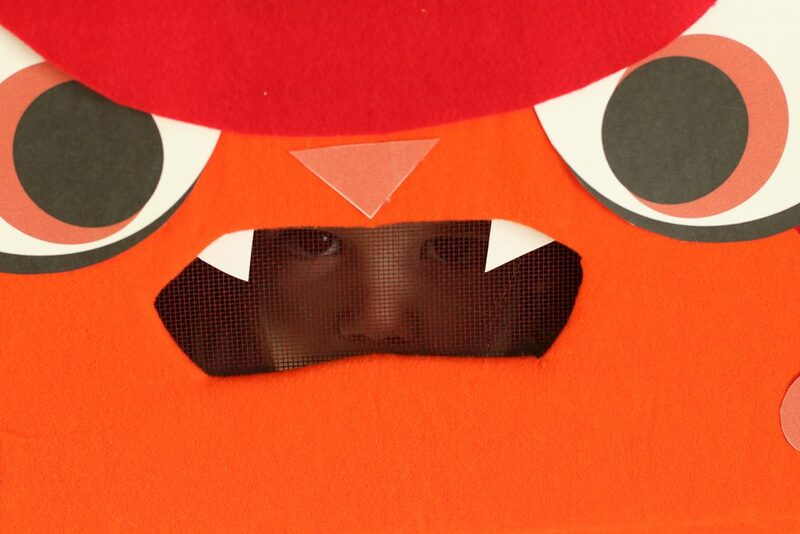 Adhere the red curved shape over Angry Kitty’s eyes to give her an angry look. 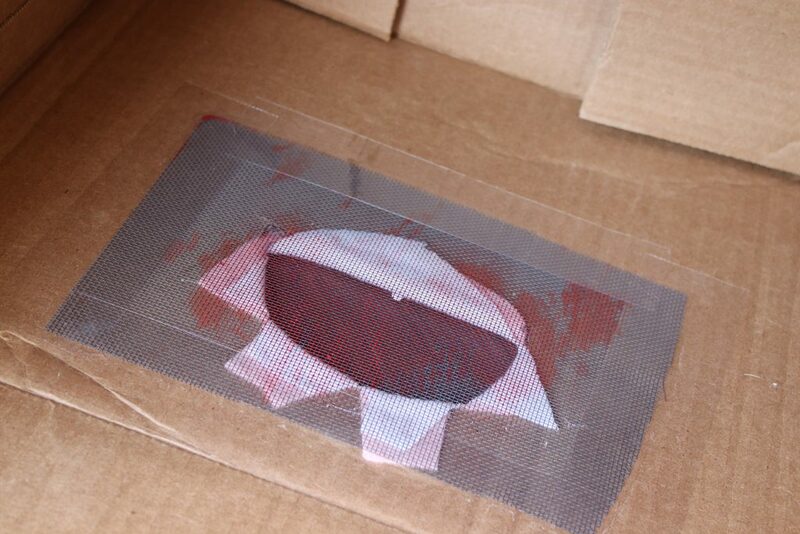 Tape the painted window screen on the inside of the box using packing tape. This will prevent any edges of the cut window screening from scratching the person wearing the mask. 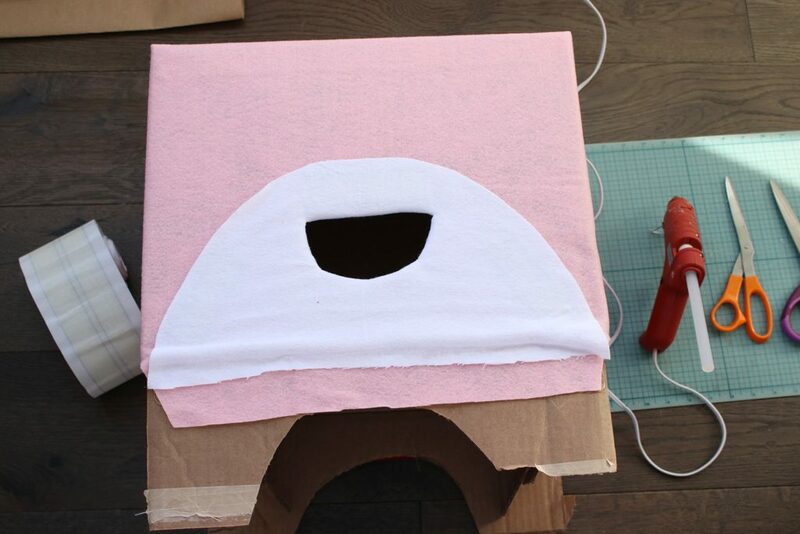 Adhere the foam pieces on top of the box, making sure the correct colors on showing on the correct sides using hot glue. Angry kitty should have red triangles, an orange circle and a yellow cone. 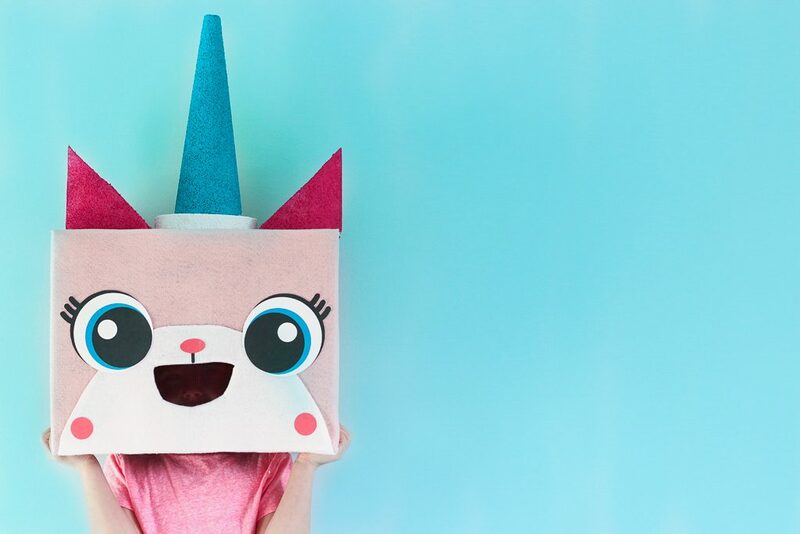 Unikitty should have pink triangles, a white circle and a blue cone. Adhere the white teeth of Angry Kitty on her mouth over the window screening, as shown. If you did it correctly, you can see through the mesh mouth as the eye hole! 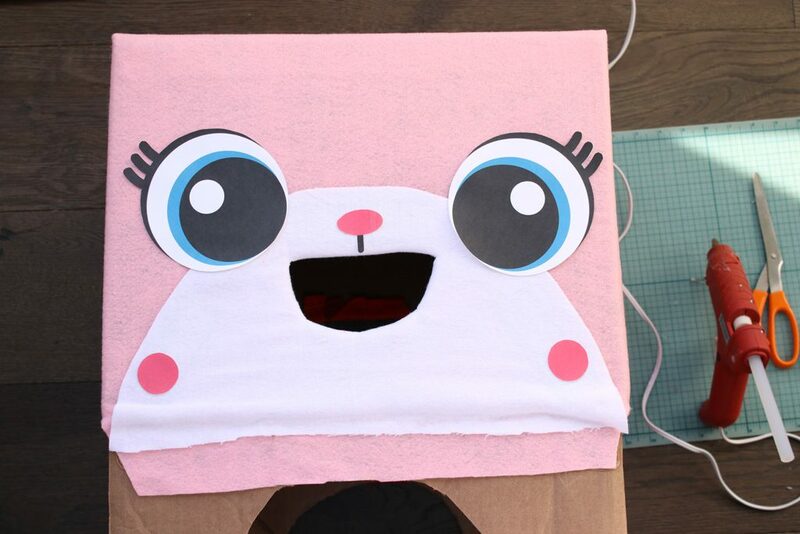 Once it all dries your double sided Unikitty/Angry Kitty mask is ready to be worn out! 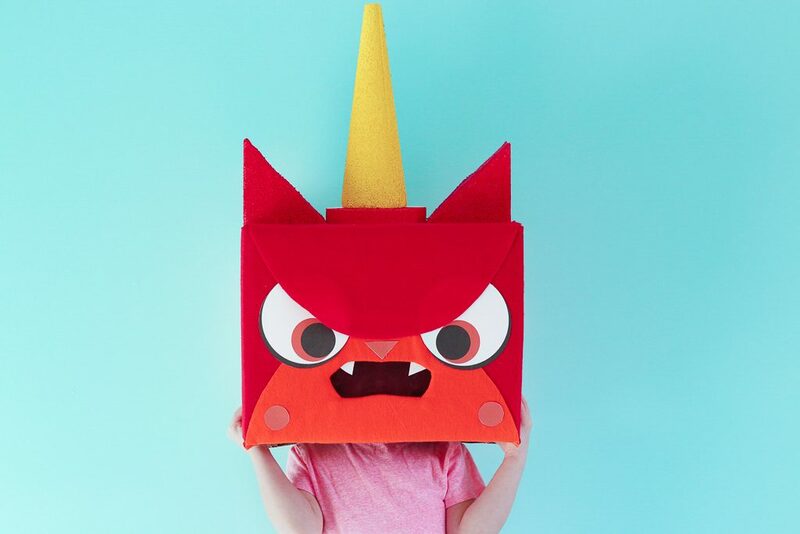 Visit a party wearing the Unikitty side out but if things get a little harry, flip around your mask and you’re instantly Angry Kitty! This post was written, created and shot by Tara at Spot of Tea Designs. 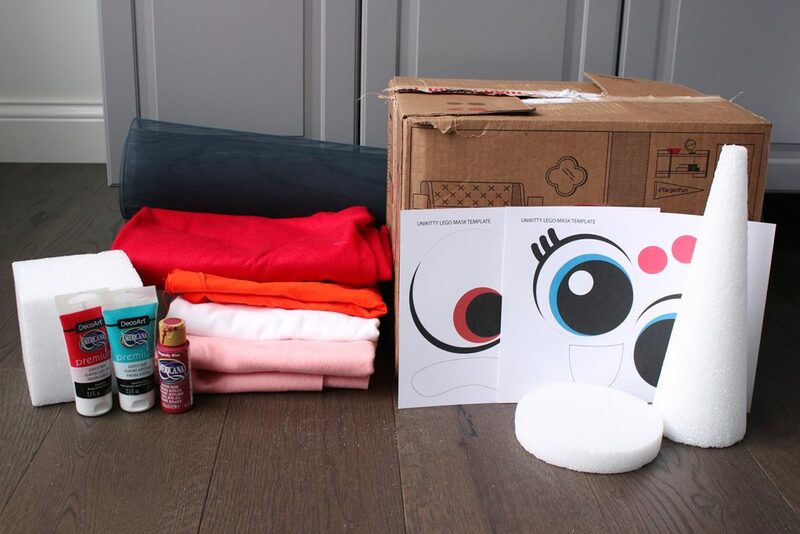 Click that link for more of her DIY projects, printables and creative ideas for everyday!